Look how great it is! One of the big selling points of disc-based consoles in the early 90s was their promise of being more than just a video game machine. Companies often pointed out their console’s potential to help children learn through the use of educational software. It wasn’t necessarily a bad idea, but for a variety of reasons it never really took off. Time to patrol some more pyramids. 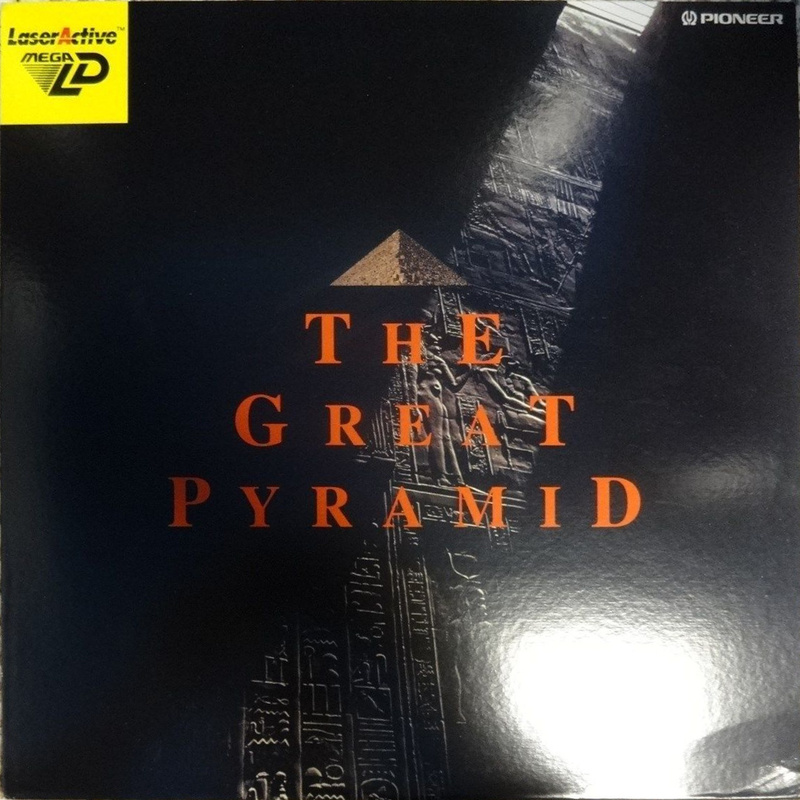 The Great Pyramid was one of Pioneer’s first attempts at educational software. It’s a product of a bygone-era when the only viable options to learn about something for most people consisted of reading a book or watching a program on TV or a video tape. Most material is accessed via DVD-style menus. 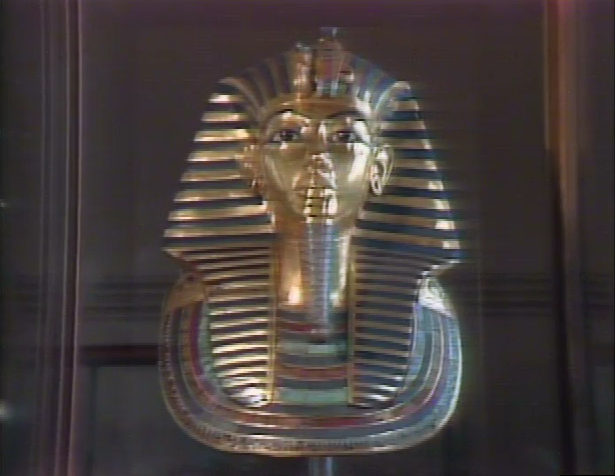 Viewers can use it to access various video clips about ancient Egypt through a disc menu. Sometimes an icon will pop-up on the screen, giving you a chance to interrupt your current video to check out another video; usually on some other subject tangentially related to what you’re watching. There’s also an interactive map you can putter around on that displays important landmarks and locations. 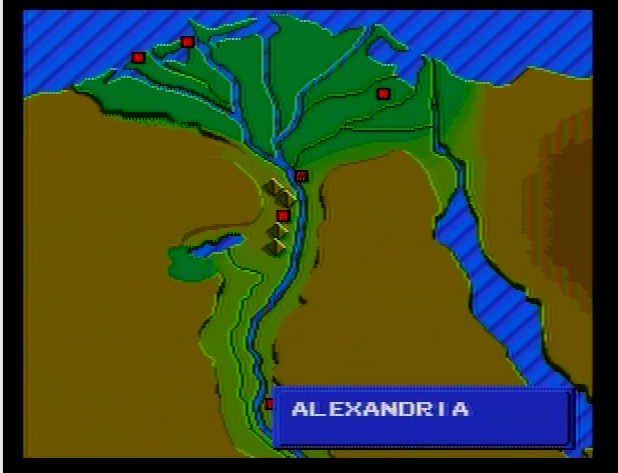 One of the highlights of “The Great Pyramid” is the interactive map of Egypt made using Sega Genesis graphics. As a product of its time, it makes for a decent showpiece of the LaserActive’s multimedia capabilities, but by today’s standards it’s little more than a gussied-up DVD. From a content perspective, there’s some interesting, if rather dry, material here, but its all pretty simplistic stuff and more than 20 years out of date now. 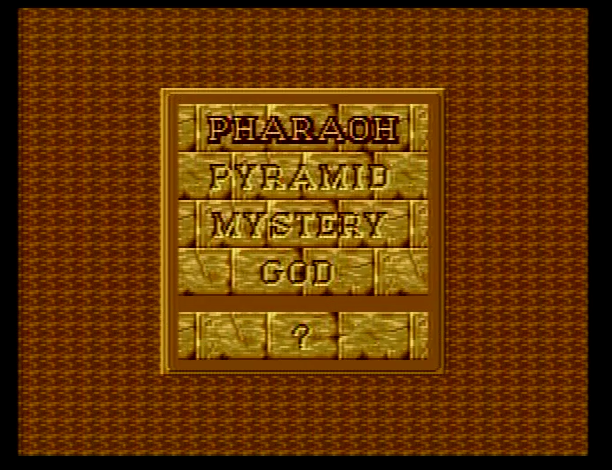 If you really wanted to learn about ancient Egypt you’d be better off just going to Wikipedia or YouTube. 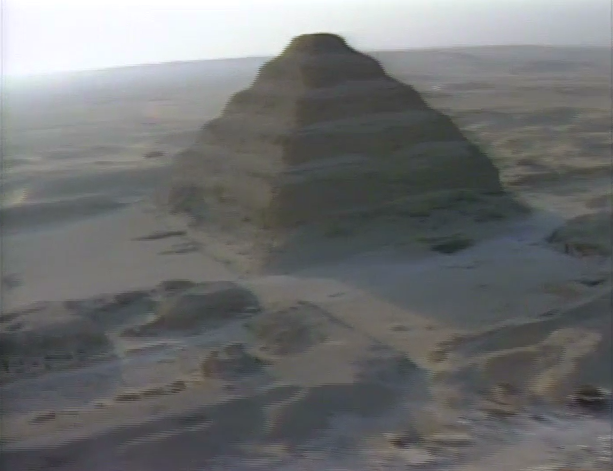 The footage doesn’t look as good as a DVD, and the information is outdated, but some of it can still be interesting. Ironically, the biggest appeal this historical disc has today is as a relic of its own time. If you want to see how far technology has come in the past 20 years, check it out. Otherwise, let it stay in the past. Ugh multi-media was just arriving during my final school days and the CD-I and CDTV were being released. I used to hate trawling through these sort of discs. Like you say sort of interesting to look back on from an historical curio viewpoint but I found them dry back in the day and probably unusable these days. Who would pay thousands of dollars just to throw on this kind of crap? Judging by the frequency this disc shows up on eBay, no one. It’s pretty much the equivalent of buying someone’s old encyclopedia set at a garage sale.